Research suggests that both Ultra violet rays of the Sun, UVA and UVB are equally responsible for skin damage. Vichy Laboratories’ comprehensive solution to this growing predicament is the revolutionary Capital Soleil range, a sunscreen containing anti-oxidant minerals for balanced and double protection. 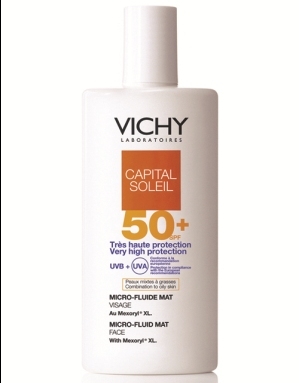 Get the flawless sun protection technology from Vichy this summer with the Capital Soleil Range that consists of Capital Soleil Cream SPF50+, Capital Soleil Micro Fluid Mat SPF50 and Capital Soliel Spray SPF50. The sunscreen comprises of broad-spectrum UVA-UVB protection and is effective towards short wave UVA as well as long wave UVA. It contains patented Mexoryl while also being Photostable and water-resistant. The product is Paraben-free, Hypoallergenic and tested under dermatological control with Vichy Thermal Spa Water. Velvety Cream’s complexion refining action provides optimum sun protection from UV and long range UVA with Mexoryl SX and XL. The skin is protected from the harmful effects of the sun, brown spots and from the sun induced premature ageing. The velvety formula allows a soft and silky finish. Under the action of UV rays, combination to oily skin has a paradoxical behaviour: sebum production goes into overdrive and at the same time the skin becomes dry within. As a result the skin looks shiny on the surface and feels dry within. Micro-fluid mat is a formula enriched with Sebostop, sebum absorbing micro-particules, in order to instantly mattify skin. 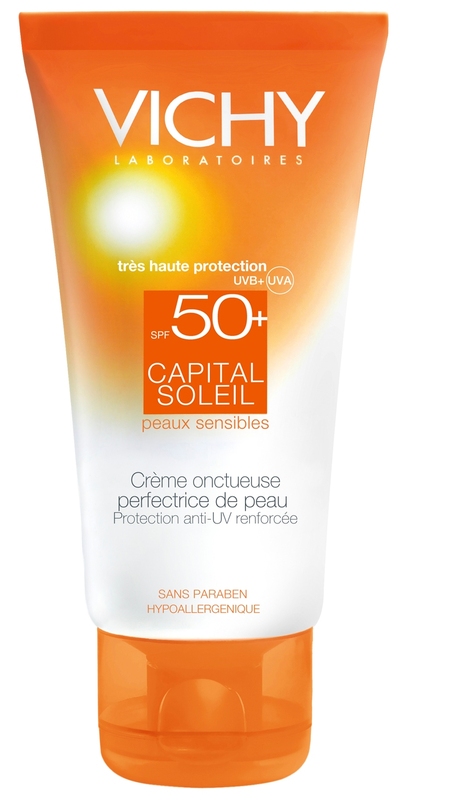 A micro-diffusion technology, which allows Capital Soleil, sprays to be applied evenly for uniform protection without cracks and Spray textures that are characterized by ease of application and freshness; they are also not greasy, not sticky and penetrate rapidly, without leaving white marks on the skin, even with high SPF. Complete protection: Thorough measure of the Protection factor against both UVB & UVA rays thus protecting the skin’s Health, Youth and Beauty. So, enjoy a bright and sunny day hesitant-free with Vichy’s Capital Soleil range and open the door to a smooth, soft and sun protected you with your favorite sunscreen this season. At select pharmacies in all major cities. Orders can also be placed online (No delivery charges). 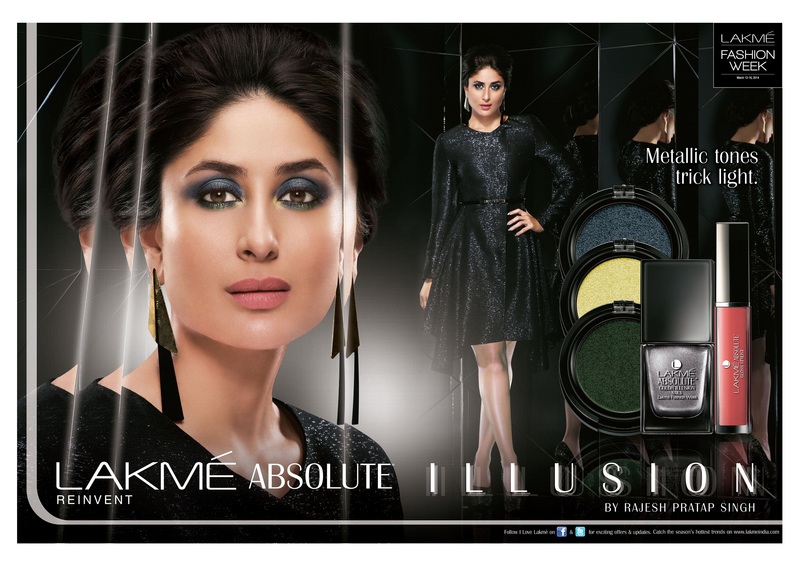 Lakmé Absolute Color Illusion Pearl Eyeshadow can be used wet for a molten look or dry for a metallic finish. The limited edition Lakmé Absolute Color Illusion Nails come in four dual tone shades that are sure to be this season’s must-haves. 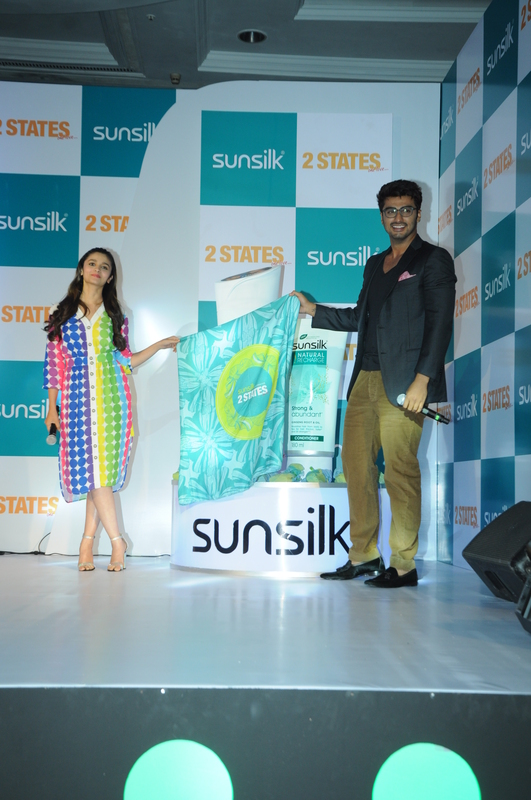 Speaking on the occasion of the launch, celebrity make-up artist and Lakmé expert, Daniel Bauer said “With the Lakmé Absolute Illusion make-up range, Lakmé brings yet another International beauty trend to the Indian market. It’s an honour to be yet again asked to create the LFW statement looks – for this season we have created the looks with Kareena Kapoor; they embody mystery and allure with just a sprinkle of shimmer. The metallic bold hues in dual tones give the ultimate shine and finish, making it a creative delight for any make-up artist. We believe metallic eyes will be the big beauty trend for the upcoming months “. 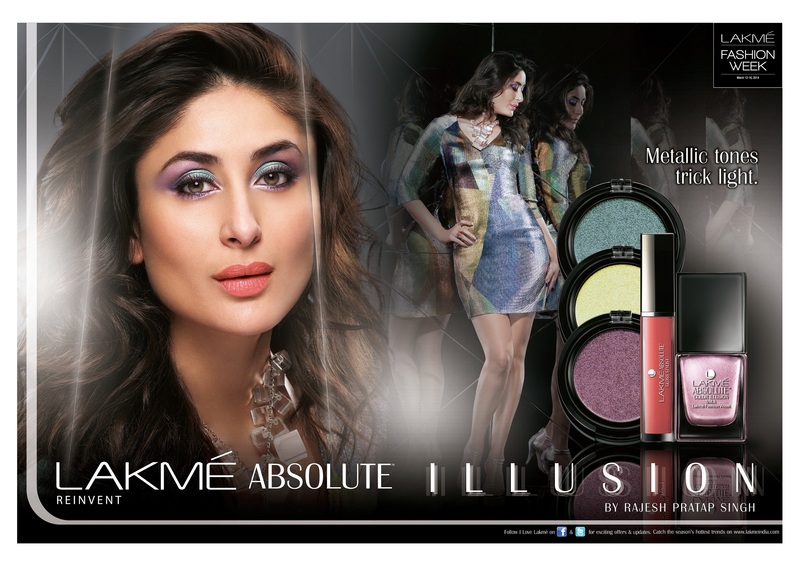 The products will hit stores across India from March 21st 2014 onwards with Lakmé Absolute Color Illusion Pearl Eyeshadow priced at Rs.750 and Lakmé Absolute Color Illusion Nails priced at Rs.200. Hair is every girl’s prized possession. 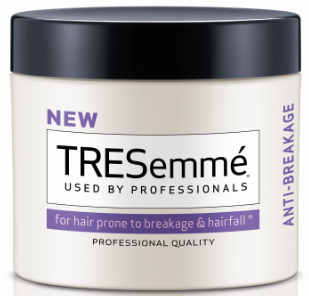 Whether she is trekking up a mountain, riding a bike on a hot, humid day, or cycling around the city, worries about looking after the strength of our hair can sometimes get in the way of life. 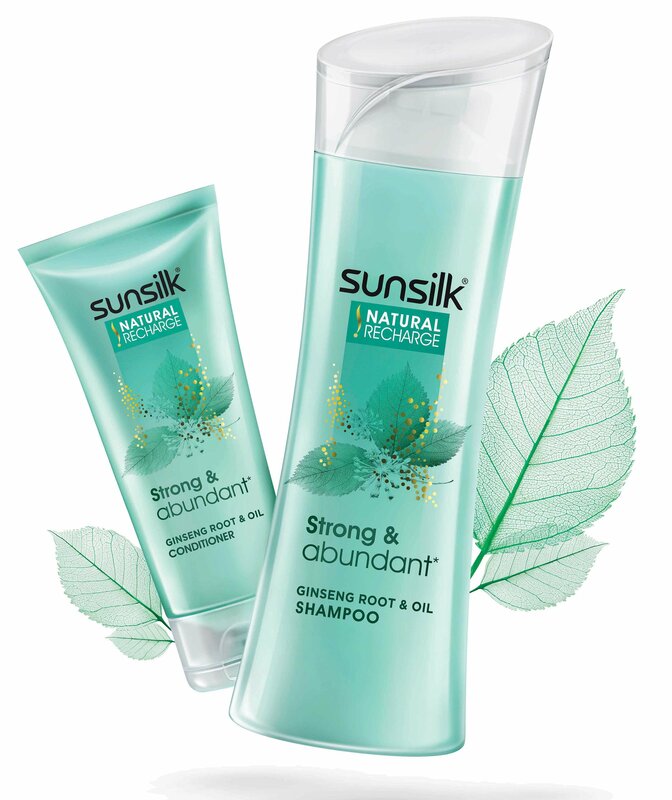 But not anymore, – thanks to Sunsilk Natural Recharge, your hair’s natural look and strength can now be replenished. 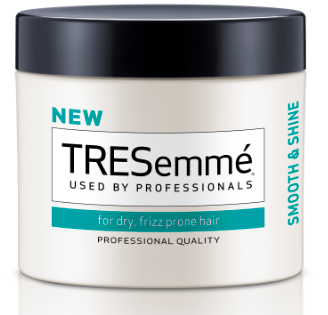 This new range has been tested to makes hair look two times thicker and up to five times stronger, allowing girls to feel confident and fired-up with their worry-free hair. Mumbai, 29th October 2013: After a successful launch a few months ago, Lakmé 9to5, now adds lip liners to its kitty of office styling products. Providing a longer lasting professional finish for perfectly defined lips, this new addition comes in six subtle shades best suited for daily office wear. The Lakmé 9to5 Lip Liners glide smoothly on the lips providing a satiny texture.